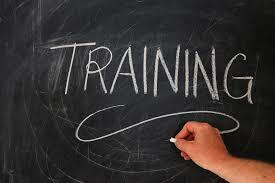 Investing in firm specific or general industry knowledge can have an impact on the success of new training programs. A study shows that creating a sense of firm specific knowledge may help in creating greater human capital advantages for companies (Ployhart, 2015). Businesses that develop a sense of knowledge specificity can hedge their labor skill to create market advantages. There is a general debate between investing in general knowledge and firm specific knowledge. General knowledge has been shown to be superior in transportable skills that are widely adaptable to other companies. In contrast, firm specific knowledge applies directly to the company in which it is used and is difficult to transport to other companies. When firm specific knowledge is created it can generate competitive advantages if that training is focused on achieving certain strategies. For example, if a company has certain competencies that create competitive advantages then it might train its employees with a narrow lens that applies only to that firm. However, as a company becomes more specialized it sometimes fails to capitalize on general knowledge that can lead to greater organizational adaptability. According to the study it isn't the specific training of firm-specific knowledge but the actual perception that the knowledge is specific to the company. The reasons why this is the case isn't clear. Employees might believe that learning new skills is directly tied to advancement. As they seek to maximize their income and opportunities they continue to develop their perceived firm specific knowledge. The study helps Training & Development professionals understand the importance of creating a sense of exclusivity of knowledge and ensuring the environment rewards that knowledge through promotion and recognition. Associating employee actions to outcomes creates higher levels of employee motivation. The study highlights how perception of firm-specific advantages has an impact on human capital maximization. Ployhart, r. (2015). Strategic organization behavior (STROBE): The missing voice in the strategic human capital conversation. Academy of Management Perspectives, 29 (3).